Situated next to a green, the Domaine de Val Quéven offers comfortable accommodation in maisonettes on a site with no vehicle traffic. The Domaine de Val Quéven has 80 little connected houses, all fully equipped, where families can enjoy a peaceful holiday. Life at this holiday village revolves around the shared facilities that guests can use, including a gym and a heated indoor pool. A sauna is available, as well as massages and other treatments. 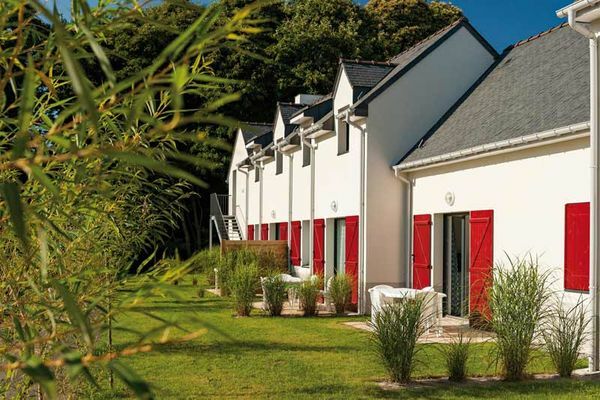 The Domaine de Val Quéven is close to Lorient and the beautiful beaches at Guidel (12 km), making it a good place to stay to discover the pleasures of southern Brittany. Are you a keen golfer? Get your clubs and your caddy: the Domaine de Val Quéven is at the entrance to a lovely 18-hole golf course. Are the kids more interested in animals? The zoo in Pont-Scorff is less than a five-minute drive away!